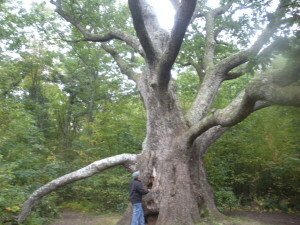 The Great White Oak of New Braintree. It took 7 men holding hands to reach around the trunk at chest height. Our name ‘Great Oak Services’ is based on this tree! In 1990 Bob Glidden started Great Oak Services. He knew the importance of placing customers first – to listen closely and to be totally upfront with them. Communication is paramount in building a successful company. We know word of mouth is very important in this business. The last question we ask a customer after a job is finished is ‘are you happy?’. We go out of our way to ensure they are happy and satisfied. Great Oak Services continues a project from start to finish – we don’t jump from job to job. We respect our customers and strive to come in on time and on budget.